On December 8, 2012, in the last speech of the late Comandante Hugo Chávez, the issue of Venezuelan sovereignty reached its climax with the succinct phrase – ‘Today we have Homeland! (Patria)’. Currently, Venezuela is going through a large-scale political conflict, trying to make sense of a pressing economic and humanitarian crisis. The so-called Bolivarian Revolution that began in 1999 as a project of revolutionary and anti-imperialist democracy, plays out today at an unprecedented geopolitical scale, increasingly appearing in international media, a media that distorts the many points of tension between the war and the resistance that Venezuelans experience in their daily lives. The slogan ‘We have Homeland! (Patria)’ has become the center of discord, splitting this nation: while some defend Venezuelan nationalist socialism, others oppose the system that has ‘ruined’ the country’s economy. 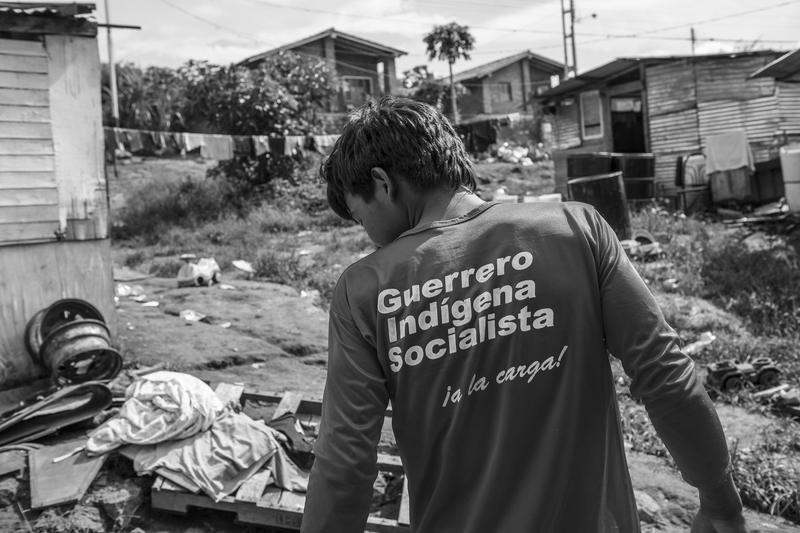 This photographic essay, produced between 2012 and 2016, as a part of the author’s ethnographic work on geographies and socialist societies in Venezuela, shows the complex ways in which the discourse of national and territorial sovereignty materializes in the state, in the body, in the ways of life, in the city, in the neighborhoods and in the deserters of the Venezuelan socialist regime that faces neoliberal globalization. Living between the borders of two economies articulated by the state, one socialist and the other capitalist, renders the Venezuelan spirit a subject that is both challenging and contradictory, something that manifests itself in Bolivarianism, the cult of Chávez, the attachment to consumer goods, the ‘escape’ from the system (even in the Caribbean Sea) and the anguish over the economic and political confinement of lives.